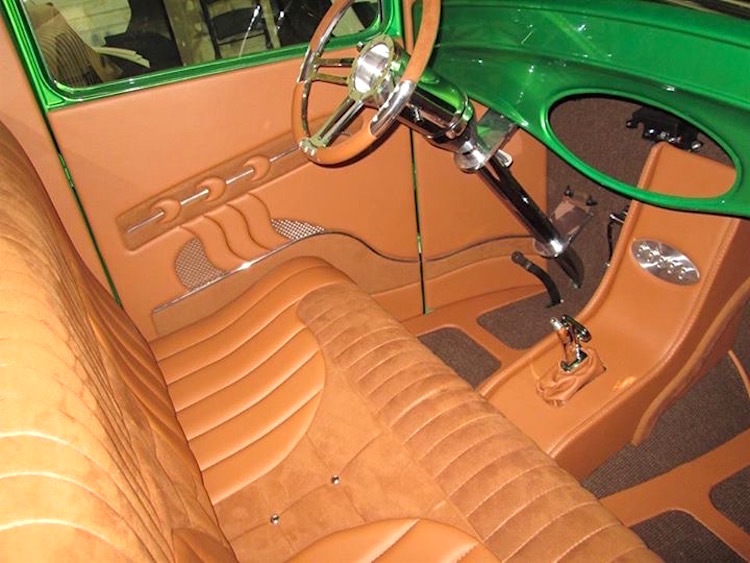 Shane Lile, owner and operator of Sewn Tight Custom Interiors, didn’t take the usual route to the craft of auto upholstery. 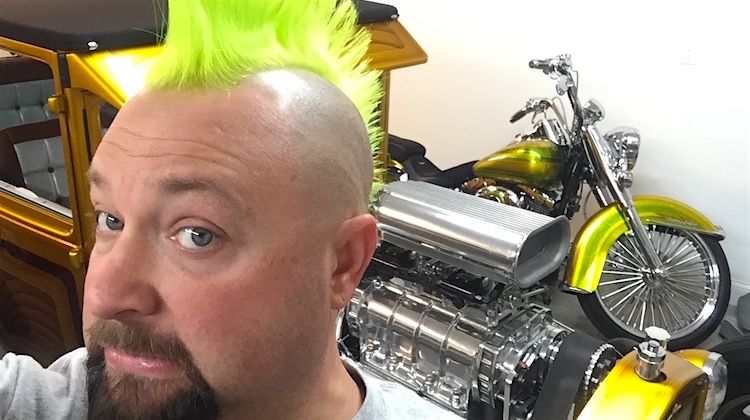 Instead, he worked for 10 years in corporate America before quitting to open his shop (and grow a killer mohawk). In less than a decade, Shane and his wife Jessica have turned Sewn Tight Custom Interiors into the Louisville, Kentucky, area’s premier hot rod interior shop. 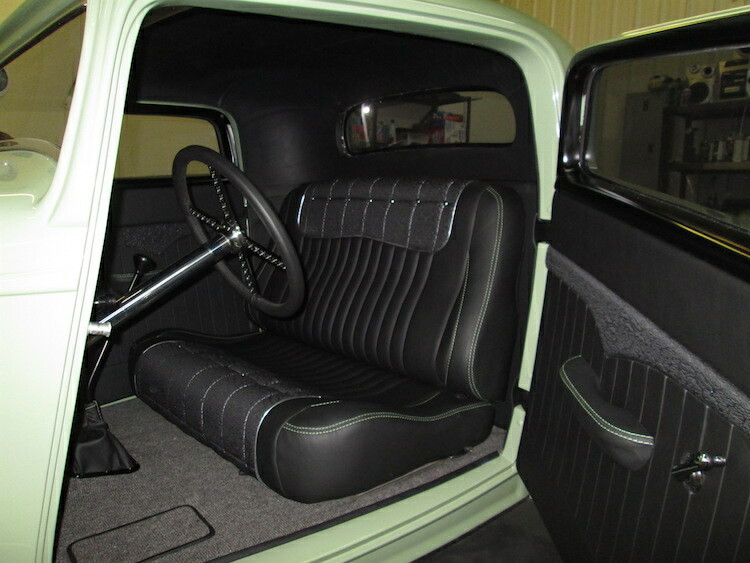 Auto enthusiasts come from all over to have Shane design and build them custom car interiors and motorcycle seats. What’s more, the team is renown for their superior customer service. How did you learn auto upholstery? When I was in high school, a guy in my dad’s car club took me under his wing and helped me learn by doing the interior in my own car under his guidance. I just kept redoing things until I got it right. After high school, I worked at a local shop for a couple years before I went to college for Engineering. After 10 years in the corporate world, I decided it wasn’t for me and walked away from the profession and opened an upholstery shop. I have been self-taught since then. What’s your favorite aspect of the craft? 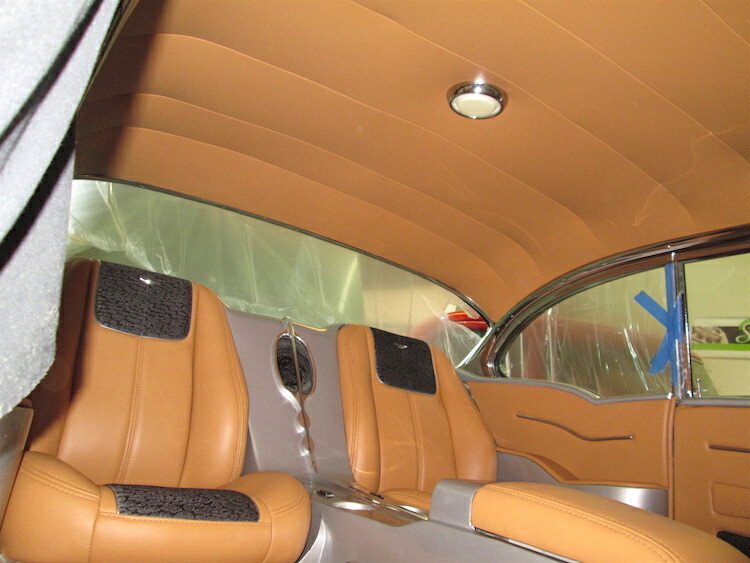 With specializing in custom cars, we get to revamp an old car with a new look. The ultimate compliment is when a customer says “I’m here because I’ve seen your work and trust you to do your thing.” Luckily, most of our customers give us creative freedom to do just that, minus their color selection of course. Seeing our thoughts and plans come to fruition and the joy it brings to them when they see it for the first time is a very proud moment. We also love those calls and texts from customers when their car has won an award. They take pride in our work as much as we do. What’s your upholstery pet peeve and why? When a customer has no idea the amount of work involved in an interior job or even just a small portion of it but expects extra requests to be added without additional expense to them. Our time is worth just as much of any other aspect of the build. What’s the best part about being a trimmer? To me it’s being in a trade that is a unique niche. Out of all aspects of custom cars, a quality trimmer is hard to come by. It’s something to be proud of, to be included in that category. 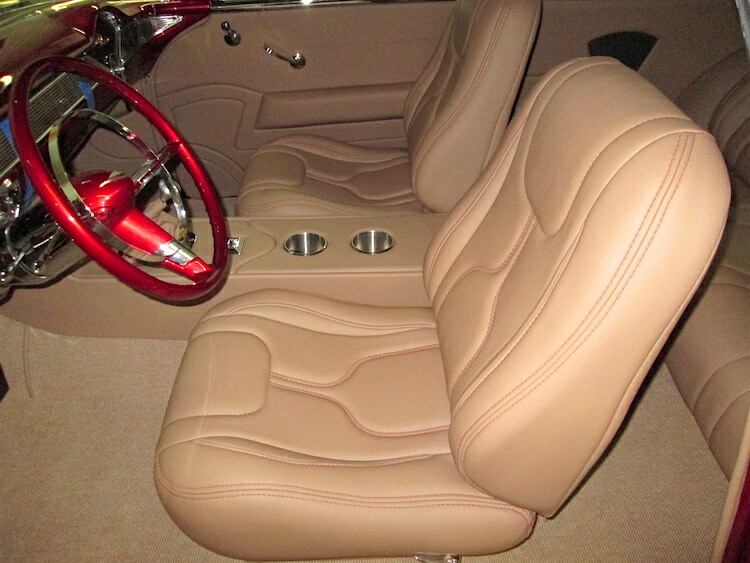 What concerns you most about the auto upholstery industry? Hot rodding has been going strong for years and even decades. I myself grew up in the hot rod scene. The folks who build cars are getting much older and it seems out of every 20 old timers, only one or two younger people are into building hot rods. I fear in 20 years the gamers and kids of today won’t relate to the industry and the value of the industry will fall away. I hope not, but sometimes wonder. ..Shane & Jessica are talented upholster’s who put out top notch work and have fun doing it. They are a very creative couple, and the work they do shows it. Sewn tight does about the best work I have ever seen. They will do the next one I build. Tired of paying top dollar for second class work. He has done amazing things to vehicles, I feel special considering my car was the first one he did 6 years ago when he started on his own! Great Job Shane!! Took a lot of courage to start fresh in uncharted waters. Congrats to you both. Good people who do good honest hard work. They are extremely talented, and we are all happy to have them here in Louisville. Great things happen to great people . 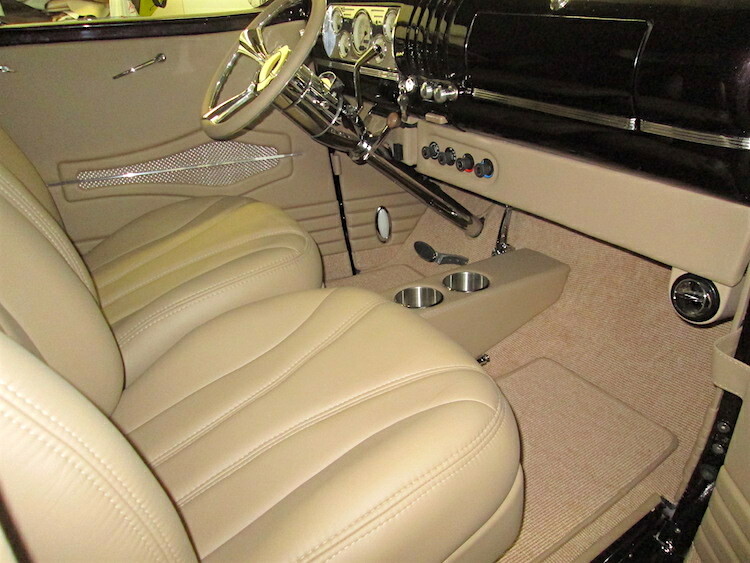 Shane done the interior in my moms truck we built her for her 70 th birthday . It was out 4 times took home 4 awards . If you want the best see Shane . Top notch work great people to work with . 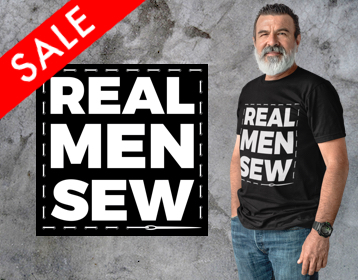 Shane is a beast behind the sewing machine! That cat has found his gift and is a natural!